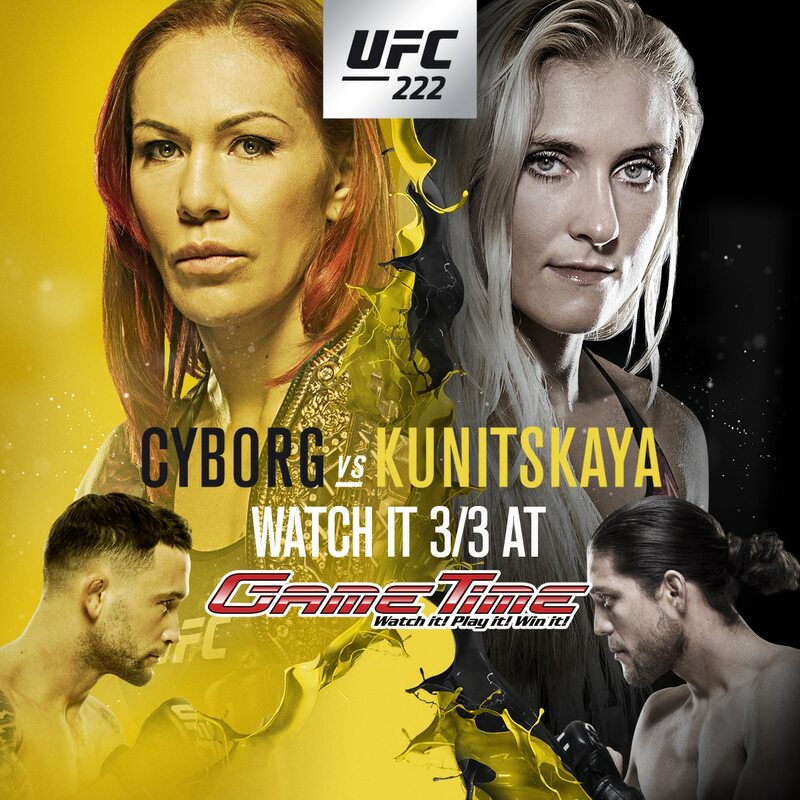 Get to GameTime in the Gulf Coast Town Center to watch UFC 222 Cyborg vs Kunitskaya, Edgar vs Ortega live on Saturday March 3rd! Enjoy great food serving a full menu, over 65 HDTVs throughout our Restaurant & Sports Bar. No reservations, no cover, first come first serve so get there early. Your entire party must be present to be seated.